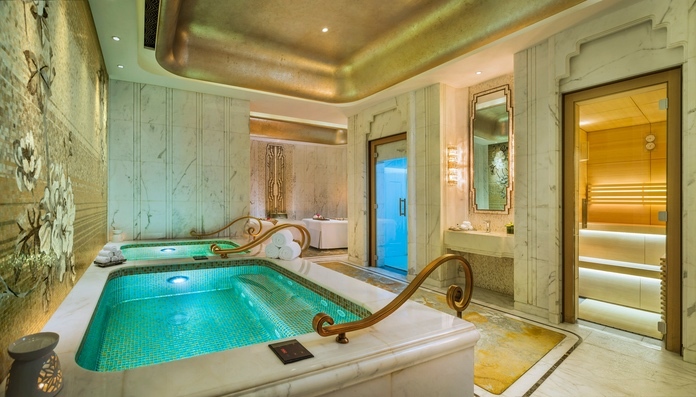 Although there is no unified international classification system standardising the rating, ‘seven-star’ is used to recognise the ultra-luxurious amenities and world-class service of world’s top hotels. 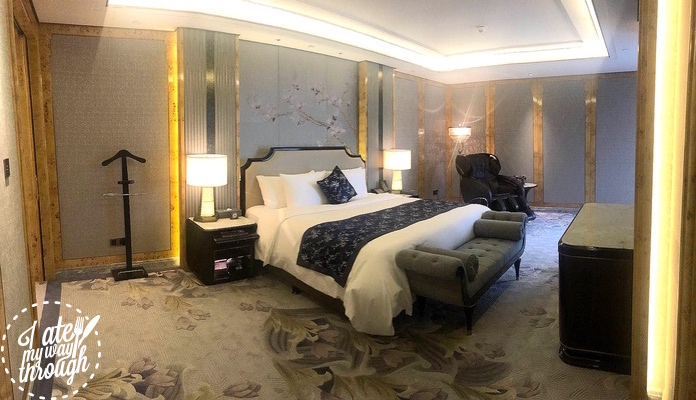 We were lucky enough to spend nights at Shanghai’s first ‘seven-star’ hotel – Wanda Reign on the Bund – as well as receive a private tour of the exclusive areas of this magnificent hotel. 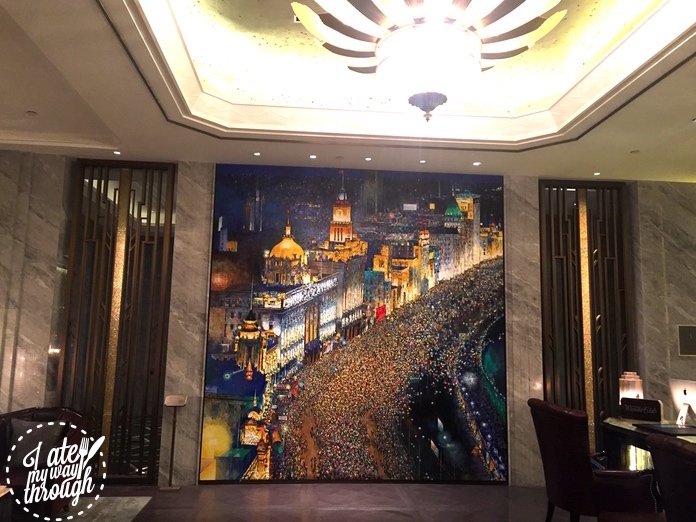 Opened in June 2016, Wanda Reign is the 51st hotel of Wanda Group. The hotel’s exterior and interior were finely crafted over three years to realise the vision of its owner and the mastermind of Wanda Group, Jianlin Wang, said to be China’s richest man. 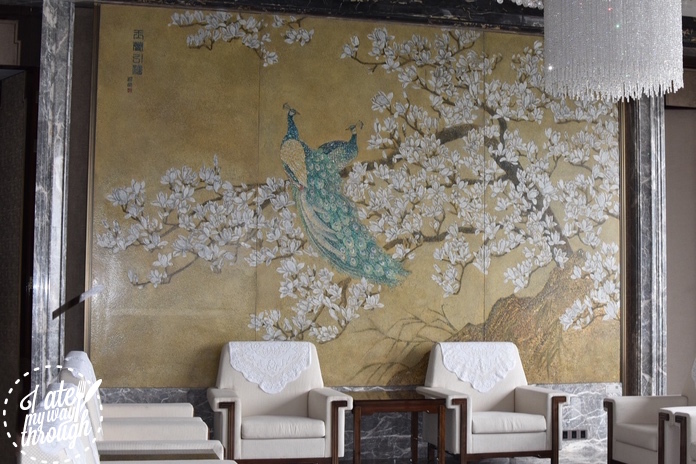 The design has embraced the elegance of Shanghai’s artistic culture from the 1920s and 1930 and includes traditional elements such as magnolias and Suzhou embroidery. 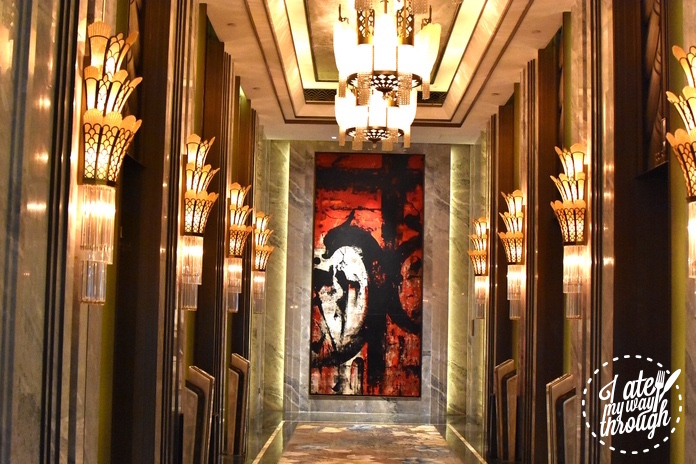 In addition to the exquisite design concept, the hotel showcases an extensive collection of art and antiques crafted by well-known contemporary Chinese artists. 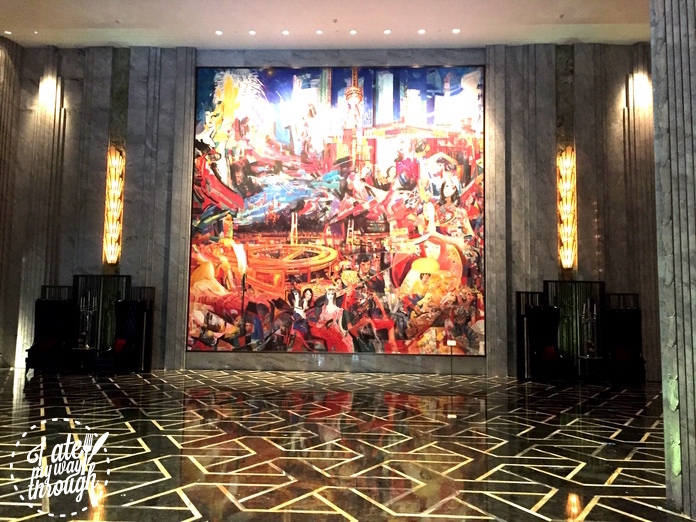 For example, the stunning marble and jade, high-ceilinged art deco lobby houses ‘Splendid Orient’, an 8m x 8m giant abstract depiction of Shanghai by the renowned artist Shi Qi. The reception walls are lined with manta ray leather dyed a rich blue, perfectly enhancing the fluid lines of the stunning centrepiece painting ‘Night of Shanghai’. 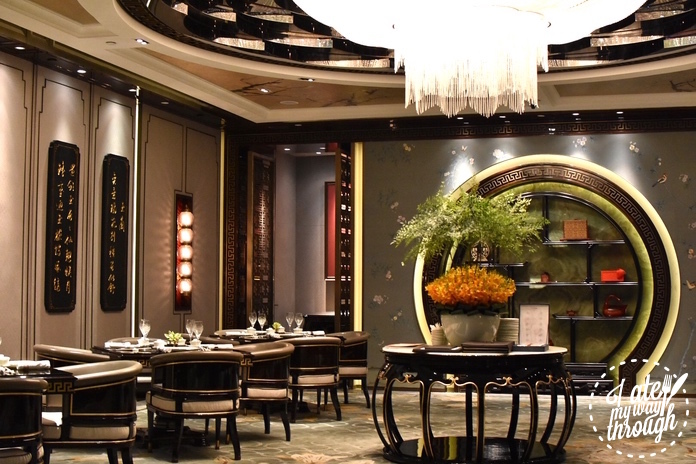 Dazzling chandeliers, screens, crystal elements, painted masterpieces and classic Victorian furniture hark back to Shanghai’s golden era of affluence and style. 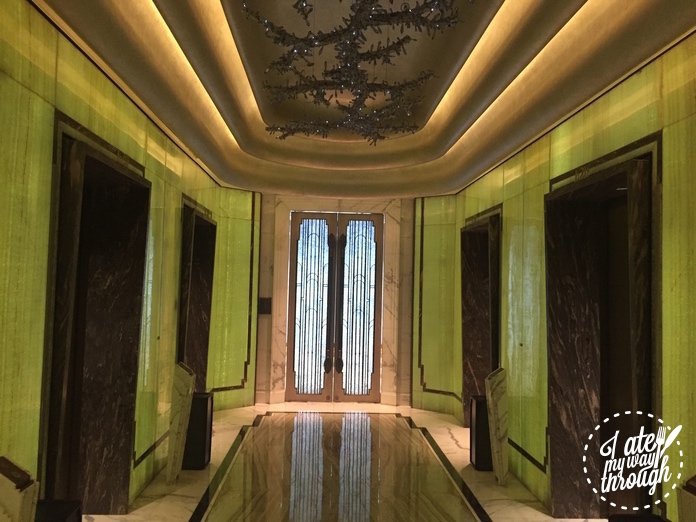 Inspired by the charm of old Shanghai, the carpets and lighting in the elevator hall are designed with classical magnolia motifs, framed by handsomely textured Art Deco lines on the ceiling and floor. 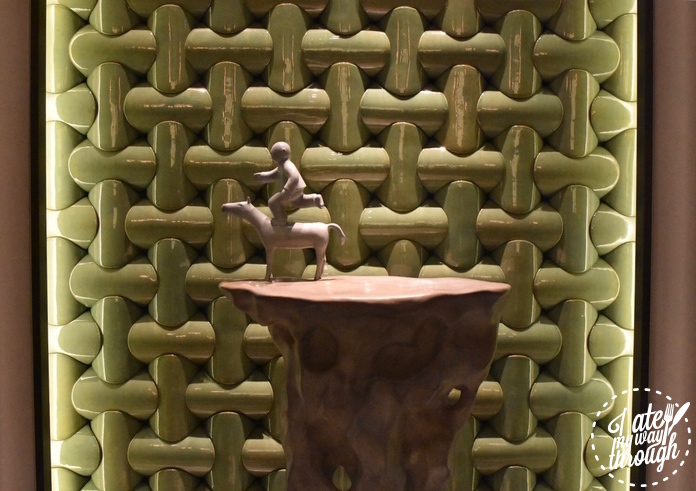 The end of the hall is anchored by an elaborate oil painting ‘Dragon, by acclaimed artist Huang Gang. 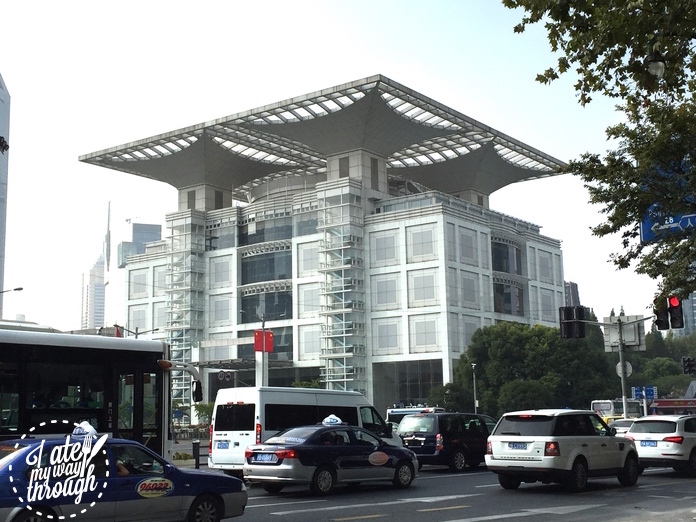 No expense was spared in the construction of the three-billion Yuan (approximately $600m AUD) hotel. 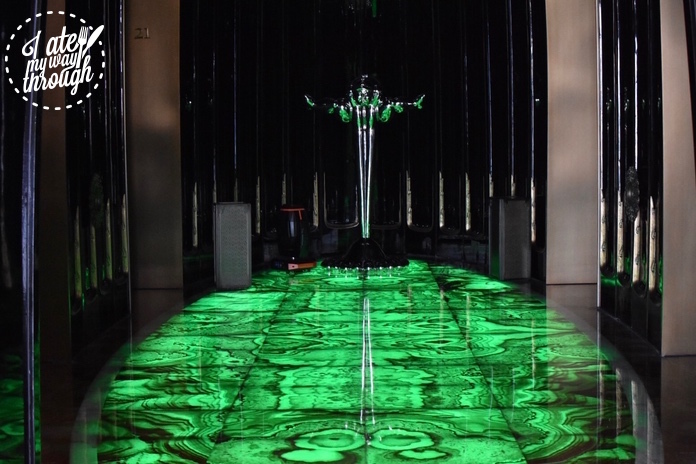 All carpets are made from the finest New Zealand wool, all marble comes from Italy; staff uniforms were created by globally acclaimed designer Laurence Xu. 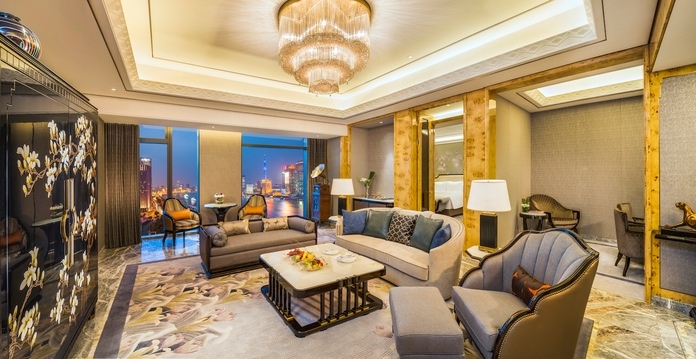 The hotel’s 193 luxurious guestrooms include 14 uniquely designed suites which range from 45m² to 288m² and offer stunning views of The Bund, Huangpu River, Pudong skyline and Yu Garden. The guestrooms have two distinctive styles – Trendy and Noble. 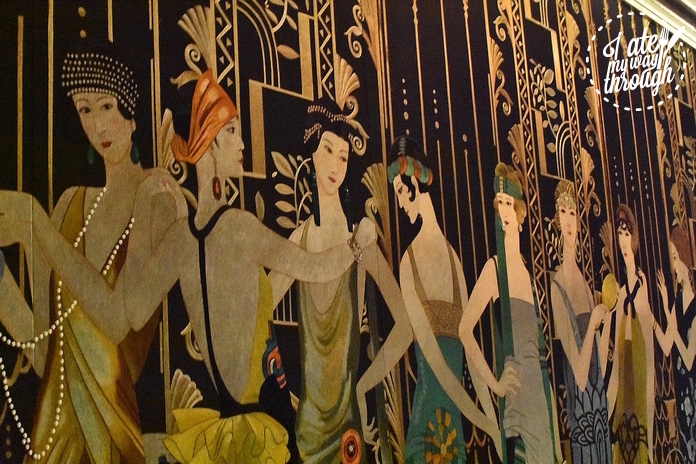 Featuring beige tones, the Trendy concept blends Art Deco glamour with modernity, while the Noble style incorporates mahogany burl wood, magnolia embroideries and Art Deco elements. 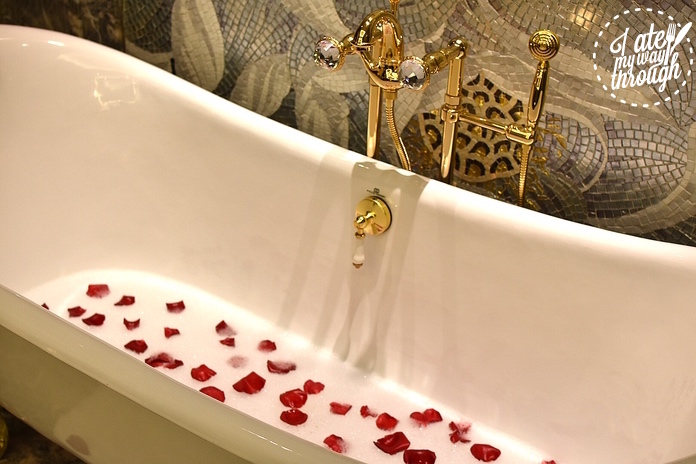 There are many ways to relax in your suite – perhaps a coconut and rose petal bubble bath whilst listening to soft background music piped into the extravagantly decorated marble, crystal and gold bathroom. 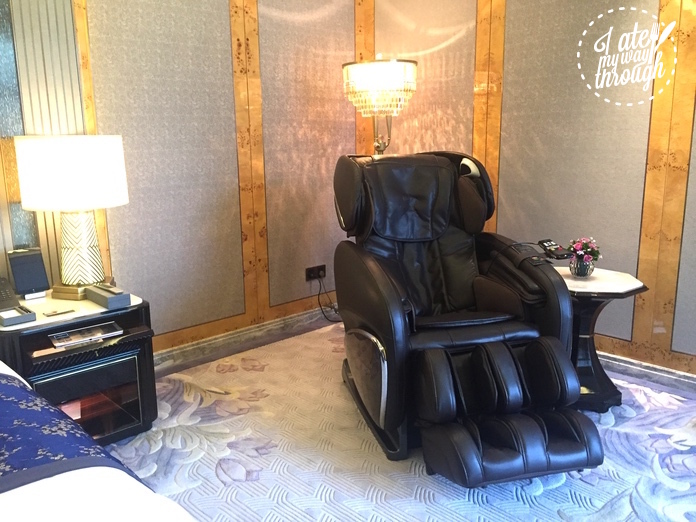 Or maybe just slip into the hotel-provided silk nightgown and let the Ogawa massage chair do the rest? 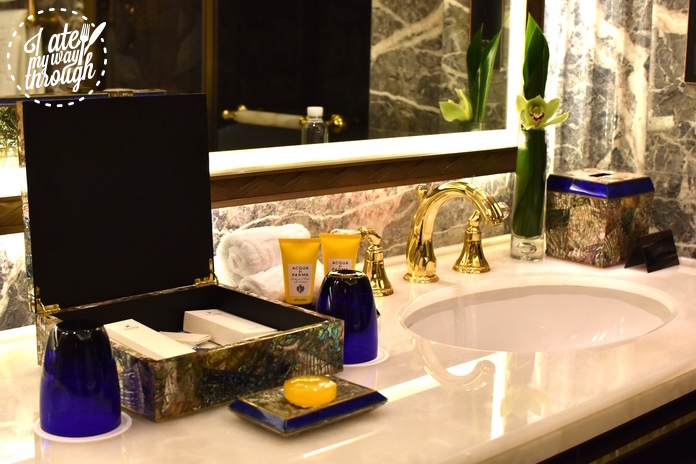 As you would expect, in-room amenities are high-end with toiletry brands such as Acqua di Parma and L’Occitane to be found in the bathroom. 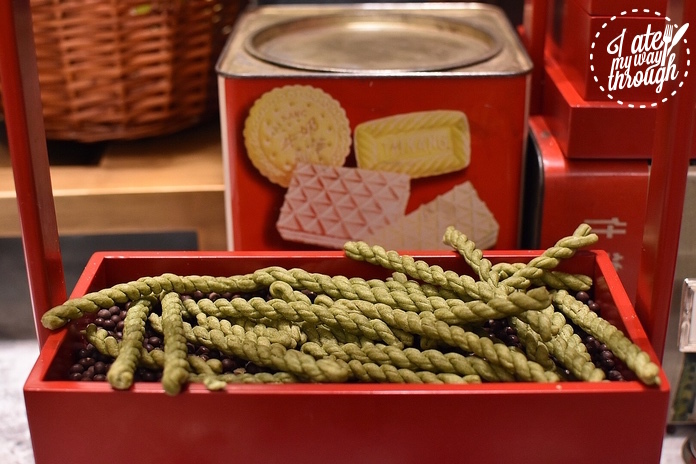 Refreshment-wise, capsule coffee and premium Chinese green tea are provided as well as traditional Shanghai-style sweet and savoury snacks such as beef jerky, white rabbit candy and plume candy to name just a few. 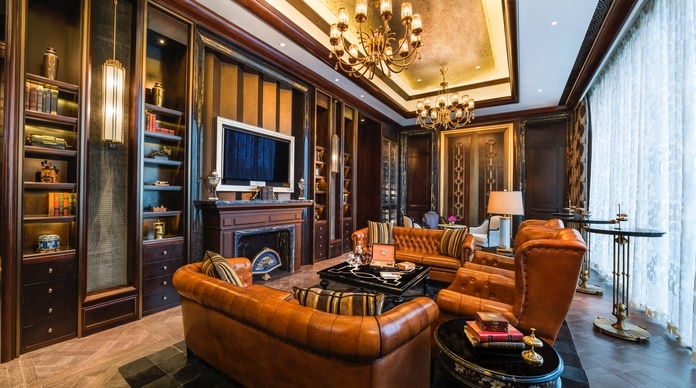 The most exclusive part of the hotel is Club Reign, a private club designed for both leisure and business purposes. Its facilities include a Wine & Cigar Bar, fitness centre, swimming pool, SHUI Spa and Universe KTV (karaoke bar). The Wine & Cigar Bar offers a stylish and comfortable setting for wine connoisseurs, celebrities and business executives. Guests can enjoy an exclusive selection of top international wines and relax while sampling premium cigars and delicacies. 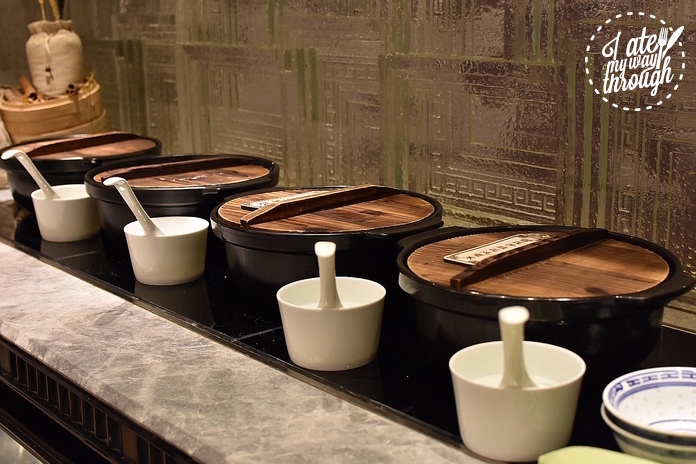 SHUI Spa contains three spa suites named Wind, Cloud and Fog, each equipped with a dry and wet steam room, ultra-large hot and cold hydrotherapy tubs, separate shower rooms, and oil-scented massage rooms. 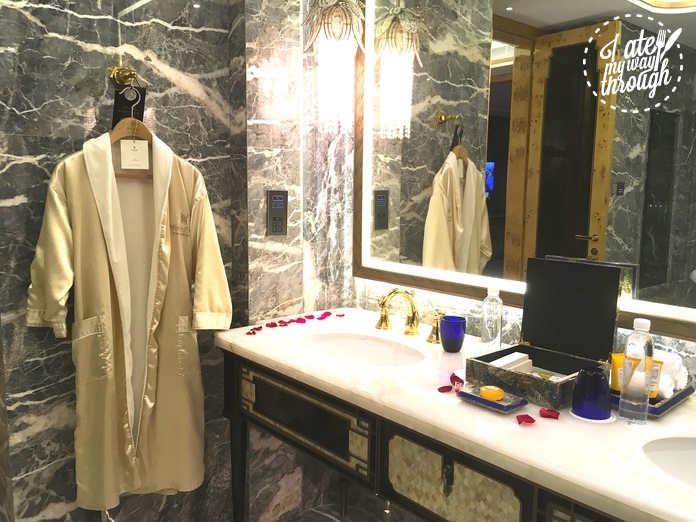 Club Reign is the ultimate symbol of social status, an exclusive private club providing high-end personal services for the hotel’s most distinguished guests. 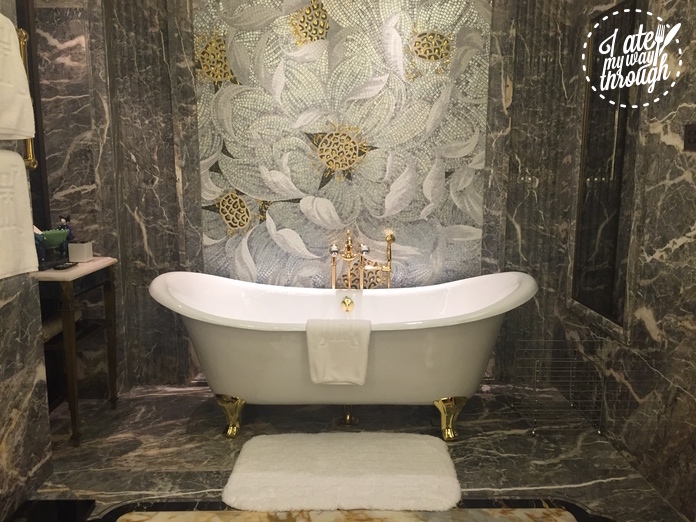 From chic rooms to scrumptious dining options, Wanda Reign on the Bund delivers the ultimate luxury experience to its distinguished guests. 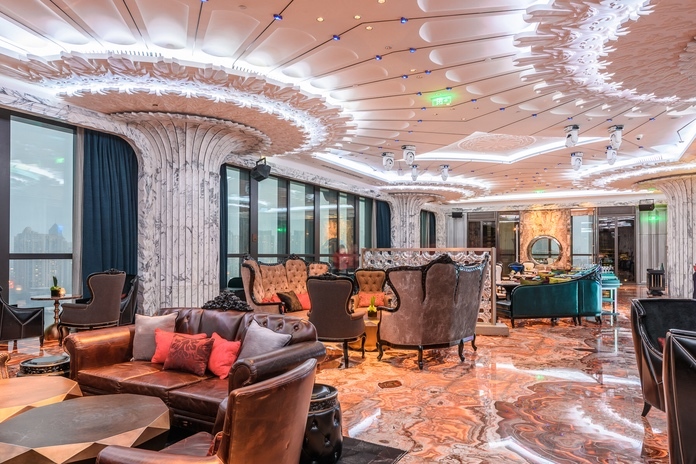 The hotel features four restaurants – RuiKu Restaurant and Champagne Lounge; Café Reign, an all-day dining restaurant; River Drunk, a Huaiyang Chinese restaurant; HE Japanese Restaurant as well as a Lobby Lounge, where we enjoyed afternoon tea whilst awaiting our check-in. Located on the top floor, RuiKu is one of the hotel’s highlights. In keeping with the hotel’s Art Deco theme, the dining room’s ceiling and walls are decorated with radial patterns and the wall and entrance door, crafted from melted tin, typify the simplicity and symmetry the style is known for. 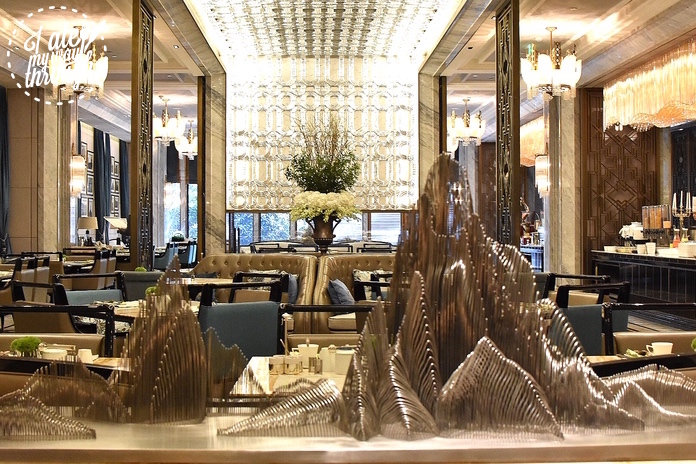 The restaurant’s marble floor, classic European furniture and contemporary art embrace both modern aesthetics and classic nobility, creating a backdrop of luxury and comfort. 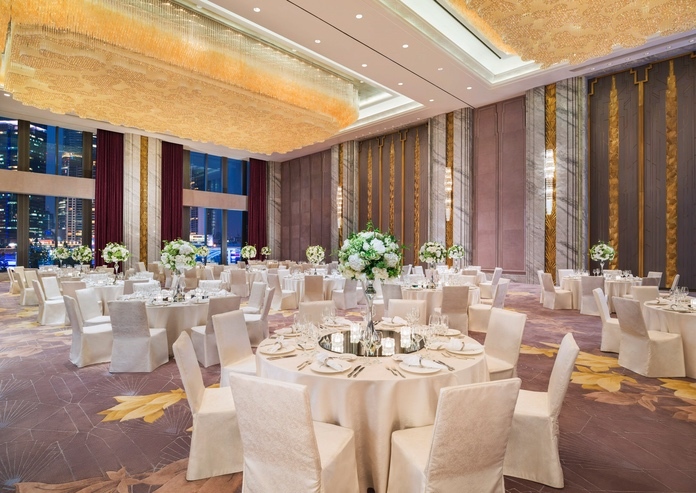 However, the real beauty lies in the 270-degree panoramic views of the Bund and the spectacular Pudong skyline offered by the venue. 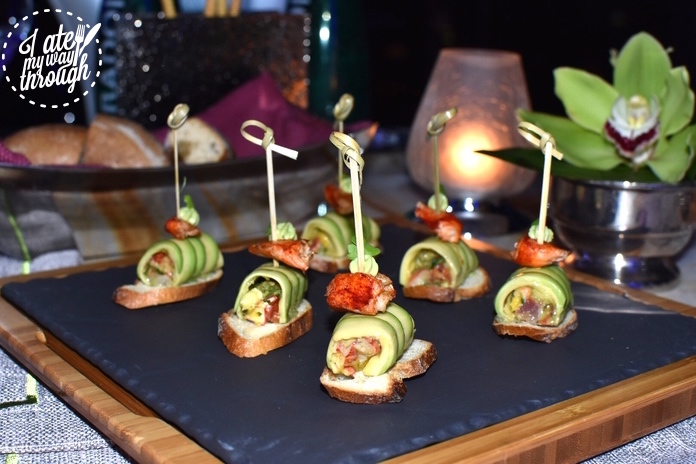 In the evening, the restaurant transforms into a terrace bar where patrons can sip champagne and cocktails to a backdrop of beats from world-famous DJs but we were there to check out the food. RuiKu’s menu is made for sharing with casual dishes and bar snacks given a sophisticated and creative twist. We start with fresh lobster and avocado maki which is married with Spanish and tropical flavours such as chorizo and mango. 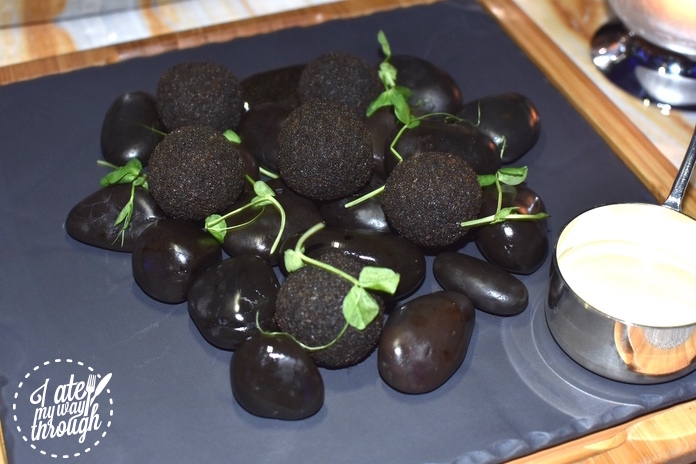 This is followed by slightly more conventional squid ink arancini stuffed with mozzarella cheese. 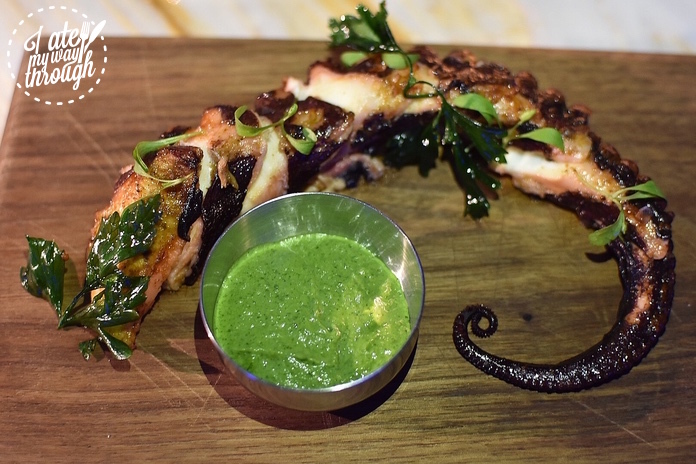 Moving on from the bite size entrées we savoured grilled giant octopus in chimichurri sauce and the ‘Ruiku Cigar’, the latter served in a wooden box which releases a smoky aroma upon opening. 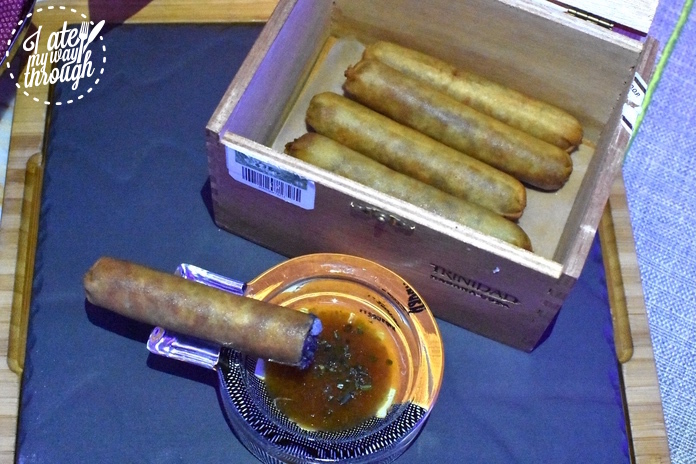 Duck confit is cleverly disguised as a cigar and only after biting into the crispy shell is the tender meat revealed. A masterpiece of style and flavour. 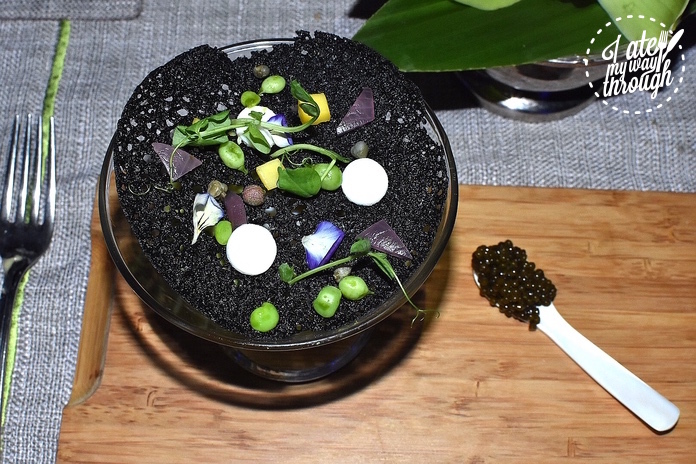 Caviar is synonymous with luxury so no surprise to see it make an appearance on the RuiKu menu where it is mixed with a Japanese style poached egg and green pea puree, perfect foils for the saltiness. 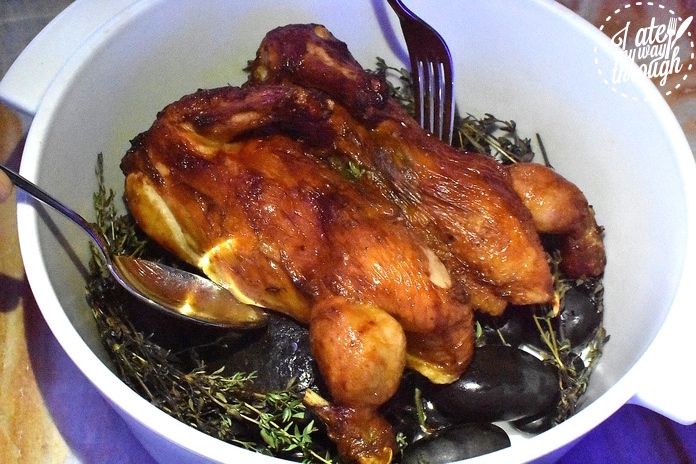 From the decadence of caviar, the main courses – supremely moist Lemon Garlic and Spring Onion Roasted Chicken and melt-in-the-mouth Sousvide Osso Bucco in Orange Fennel Sauce – deliver more rustic European flavours. 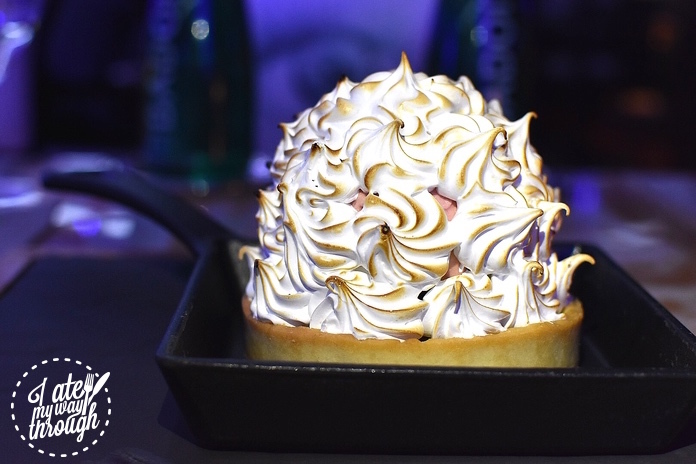 The Baked Alaska offers some theatrical finale when brandy is poured over the cake and set it on fire. The perfectly caramelized meringue conceals strawberry, chocolate and vanilla ice-cream and hazelnut underneath; a generous portion that we could have used some help finishing. 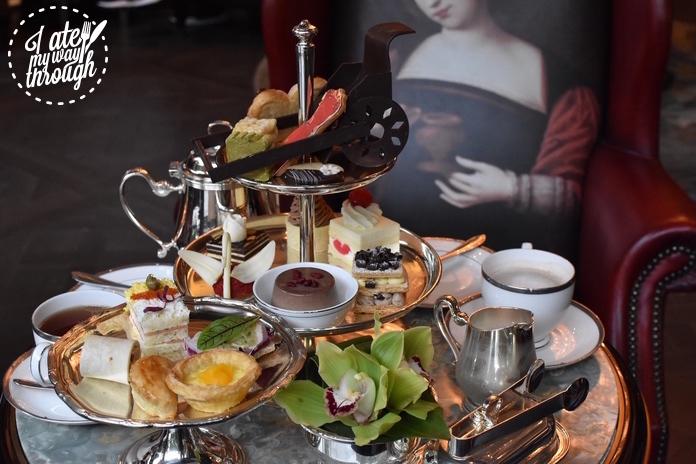 Café Reign is another stunning venue featuring vibrant and classy colours throughout. Crystals imported from the Czech Republic adorn the restaurant’s ceiling which in turn are defined by abstract geometrical lines and perspectives, again reflecting the hotel’s Art Deco theme. 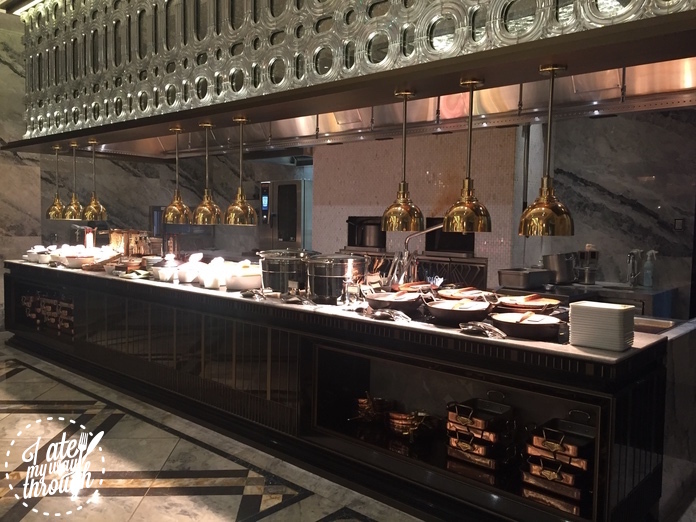 This is where you will find the hotel’s buffet breakfast which is served till 12pm at weekends and during public holidays to accommodate late risers. 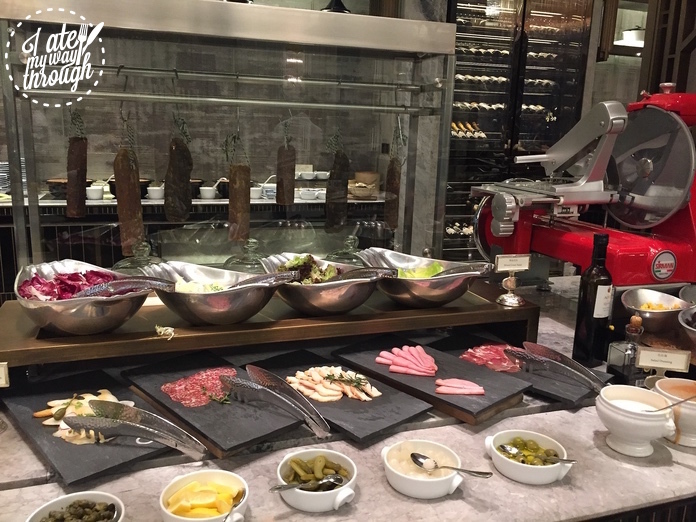 Familiar western choices such as cereal, toast, bacon and eggs are available but no trip to Shanghai is complete without sampling the local cuisine. 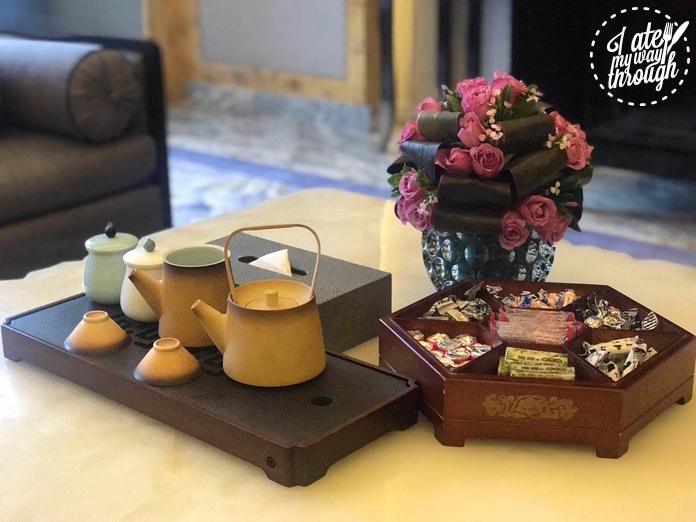 Café Reign offers authentic Shanghai breakfasts including pan-fried dumplings, deep-fried dough, sweet and savoury “crab shell” pastries and sesame sticky rice balls with red bean filling. Some of these traditional breakfast is rarely known to outside world but common street food popular amongst locals for centuries. 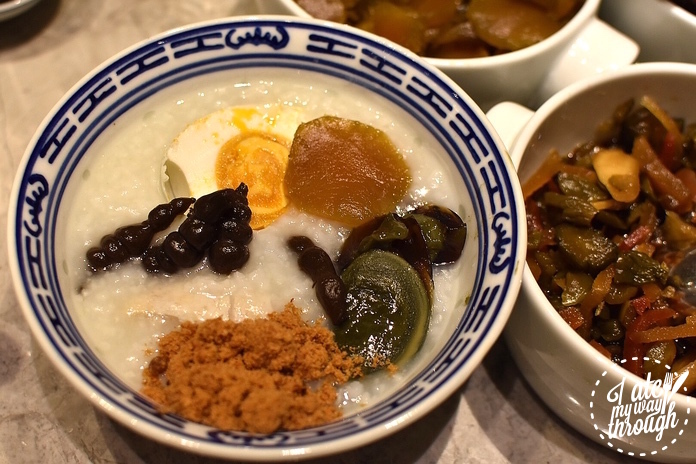 Flavoured congee – another locals’ favourite created by slow cooking rice into a stew texture – is served with a range of pickles, pork floss, salted and preserved “thousand-year-old” duck eggs. 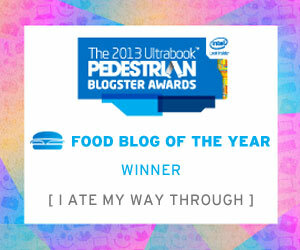 Locals enjoy this dish particularly when they feel under the weather. 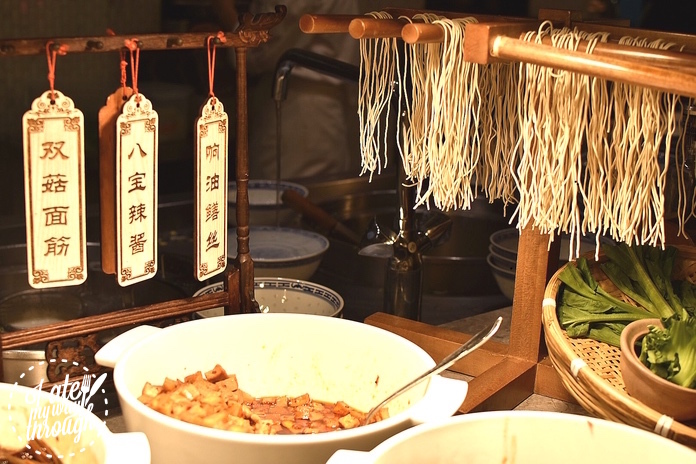 Noodles are another common Shanghaiese breakfast dish and are typically served with toppings such as spicy pork, stir-fried eel, braised tofu or beef. 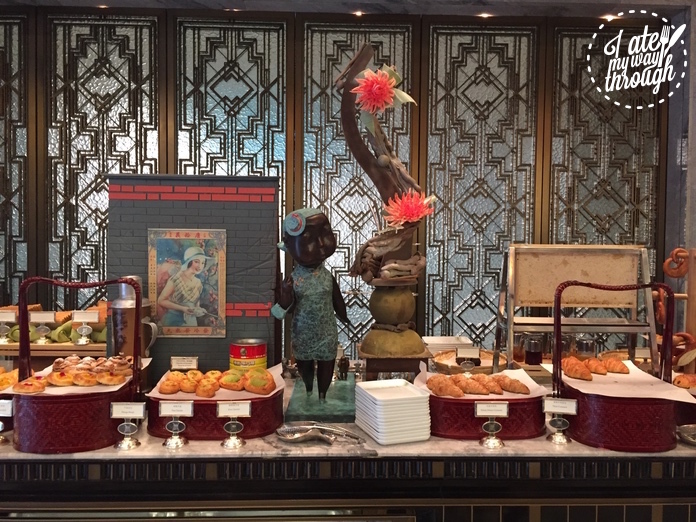 The breakfast buffet in Wanda Reign on the Bund is a perfect education that offers a glimpse to the local culinary culture. 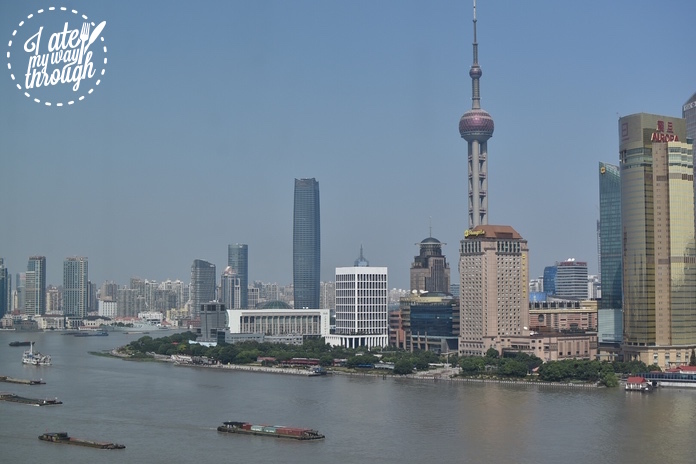 It cost a whopping 9.2 billion yuan (over $1.8billion AUD) to secure the prestigious location for the Wanda Reign alongside the iconic Huangpu River, the most expensive land transaction in Shanghai’s history between a private company and government. 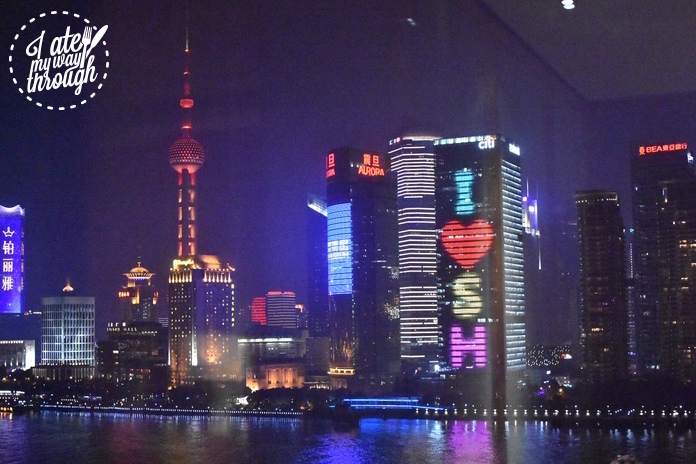 In return, guests get to enjoy breathtaking views across the river to Pudong and, when night falls, the lit-up sky scrapers provide one of the most spectacular skylines on the planet. In recent years, the area surrounding the hotel has been transformed and a redeveloped promenade welcomes thousands of domestic and international visitors every day. The colonial style former European bank headquarters across from the the Bund now house world-class dining and nightlife, including many western Michelin star restaurants. 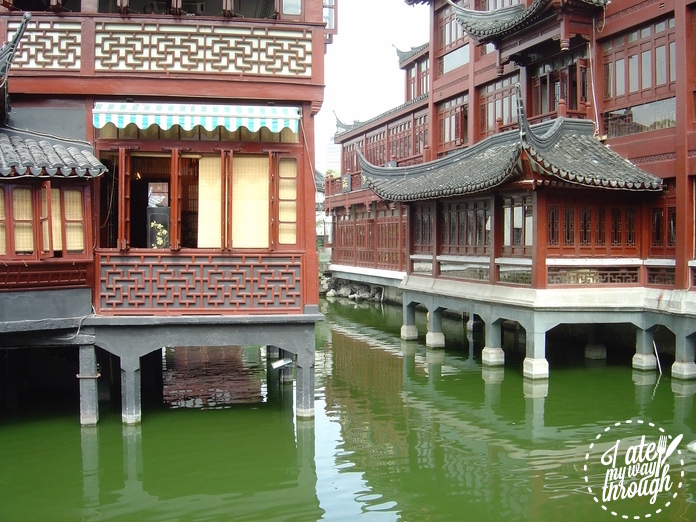 For a taste of local culture, Yu Garden is only a few minutes’ walk from the hotel. 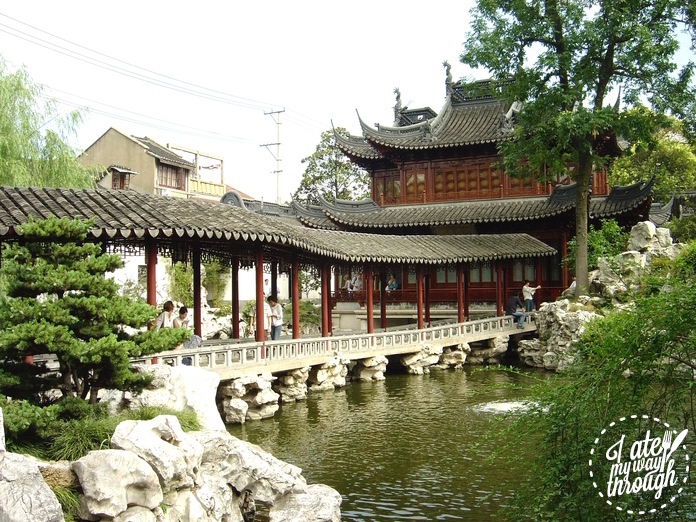 Occupying five acres, this ancient garden was built in 1559 and restored in the late 1950s to showcase the traditional Suzhou Style gardens typically found in this part of China. 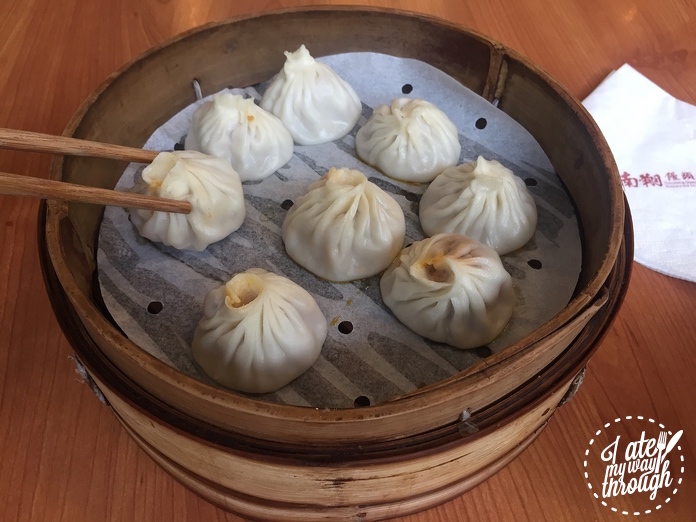 The garden is also a good place to try traditional local food such as the famous Nanxiang Soup Dumplings, a secret that has now got out to the rest of the world. 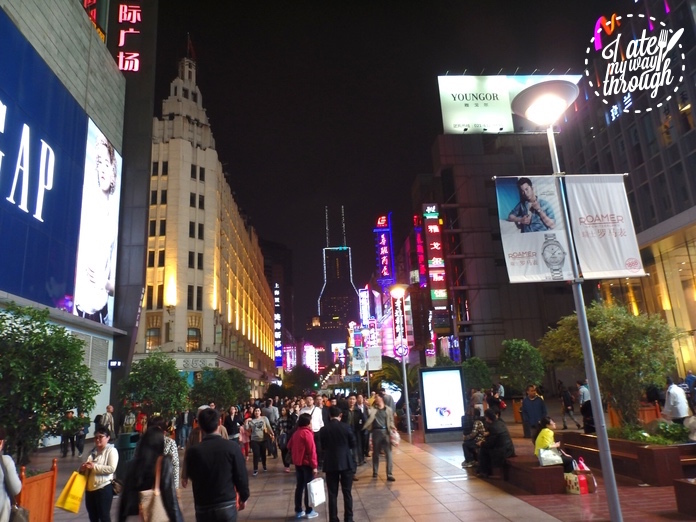 Nearby Nanjing Road East is one of world’s busiest shopping streets and Shanghai’s first pedestrian only street. 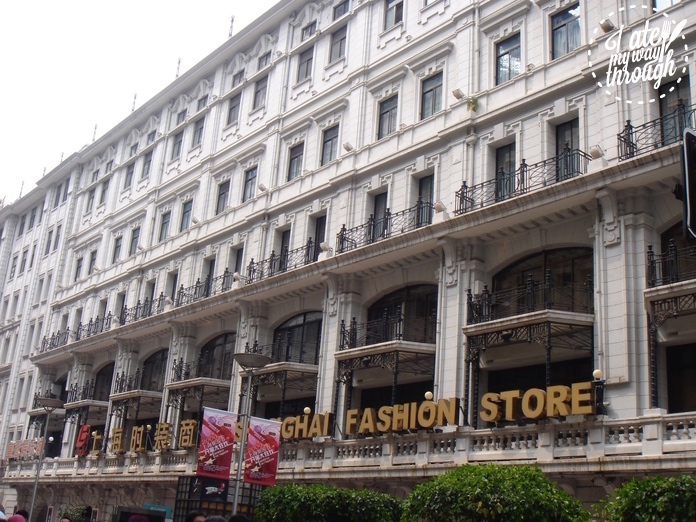 Located here are most of Shanghai’s oldest and largest department stores as well as some celebrated local eateries. ‘Shanghai No. Food Store’, for example, is a great place to find traditional and inexpensive local food. When night falls, the whole street is lit up with neon lights which becomes an attraction in itself. 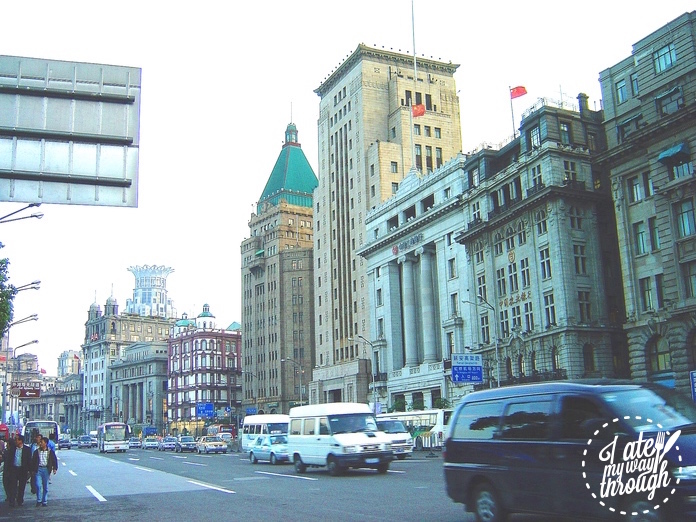 At the end of Nanjing Road East, guests can reach the centre of Shanghai – People’s Square and many iconic landmarks such as the Shanghai Museum, Shanghai Grand Theatre and People’s Park. Wanda Reign defines luxury and comfort. 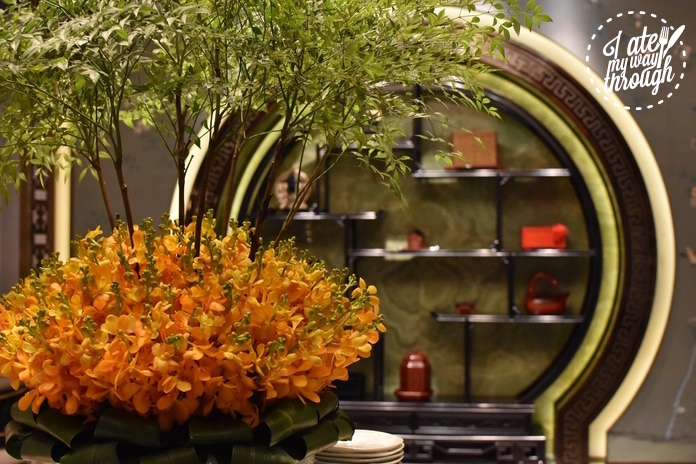 The meticulous design, unparalleled showcase of artworks and attention to detail capture Shanghai’s glorious past as the ‘first financial street in the Far East’, while looking to its future as one of the world’s leading financial hubs. The memories from our short stay in Wanda are unlikely to be surpassed anytime soon.